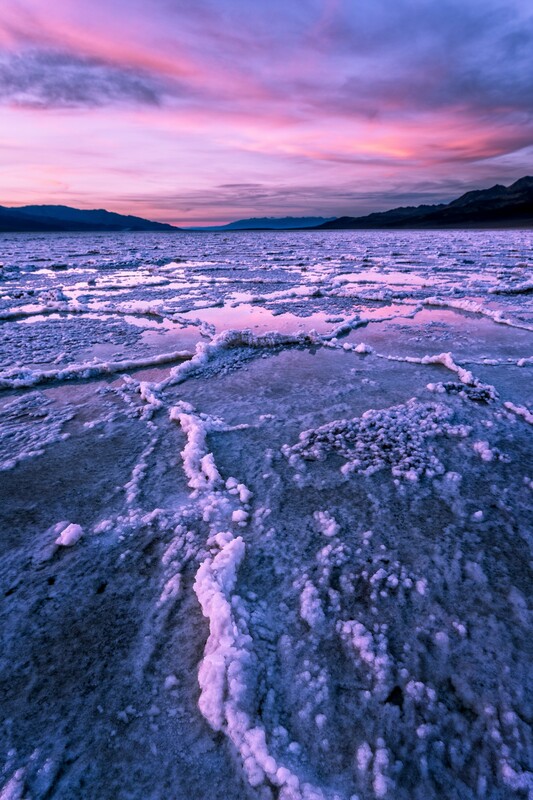 Pink sunset at Badwater salt flats after winter rains. Spent a great winter day exploring Death Valley National Park and decided to watch the sunset in Badwater. It was fun using the lines of salt build to create interesting compositions. This image contains a strong leading line that carries the eye right throught he scene!